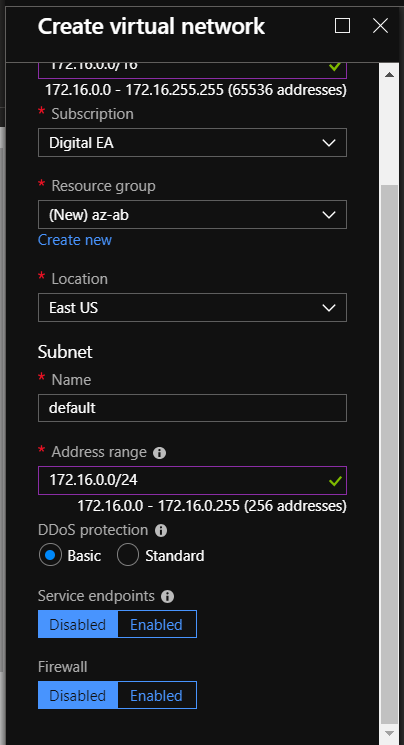 Starting off on the Azure side, you need to create a vnet with a non-overlapping address range to what our other cloud provider network will be using. Once the vnet has been created, you create a new Gateway Subnet. Now that a Gateway Subnet has been defined, create a Virtual Network Gateway in Azure. Make sure to select route-based as the VPN type. While the Azure VPN Gateway is provisioning, log into the Alibaba Cloud dashboard. At this point, you want to mimic the steps from Azure but within Alibaba Cloud. Create a VPC and a Vswitch, and do not overlap the IP address range used in Azure. Next, create a VPN Gateway and select the VPC that you previously created. Within the Alibaba portal, create a Customer Gateway. This is similar to a Local Network Gateway in Azure. 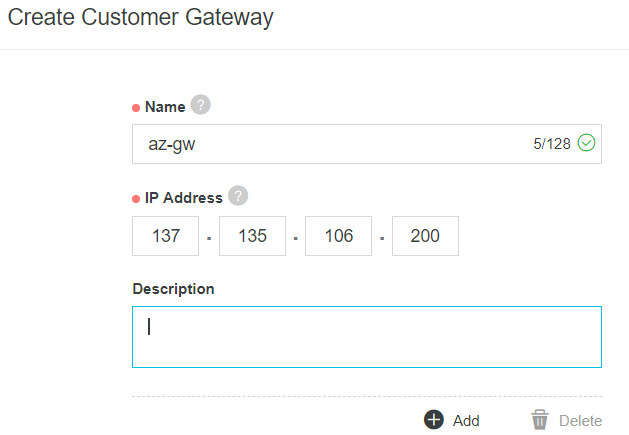 Type in the public IP address from Azure's VPN Gateway into the IP Address text box. The next step is to configure the connections to both gateways. 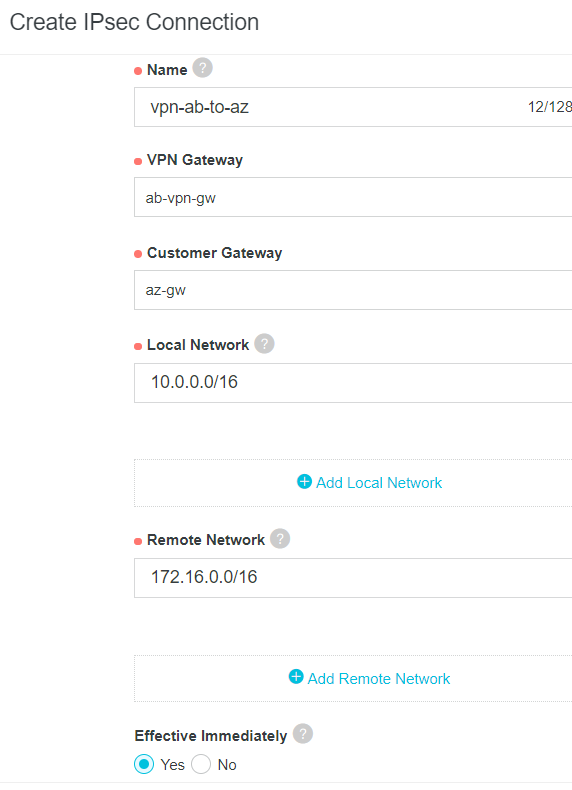 In Alibaba, select Create an IPSec Connection and choose the VPC and VPN Gateway. Type in the IP CIDR of your Alibaba local network in Local Network and then type in the IP CIDR of your Azure Network in Remote Network. Select Yes for Effective Immediately choice. 28800 for SA Life Cycle (Seconds). 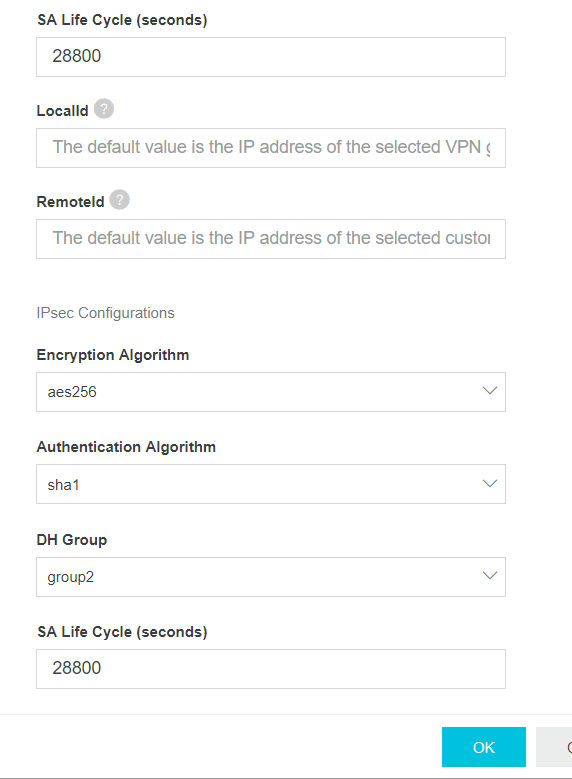 Under the IPsec Connections label, select aes256 and 28800 for SA Life Cycle (Seconds). 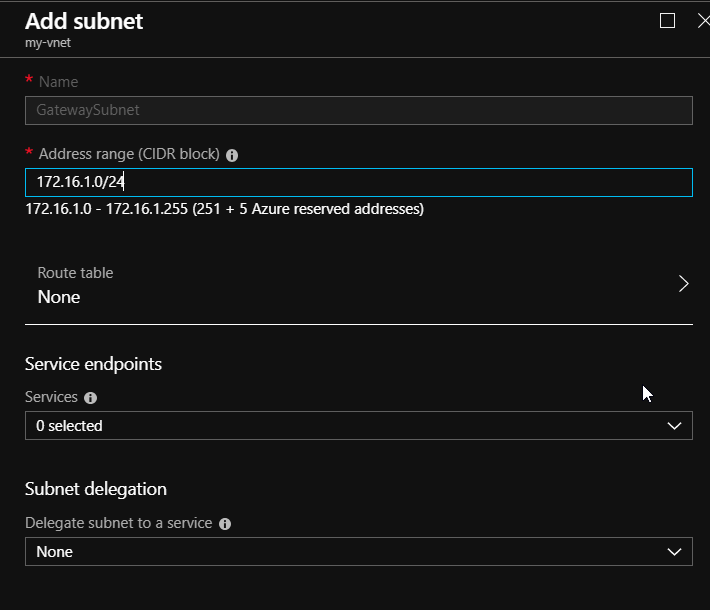 In the Azure Portal, navigate to your Local Network gateway connection object. Select Connections from the blade and then select Add. 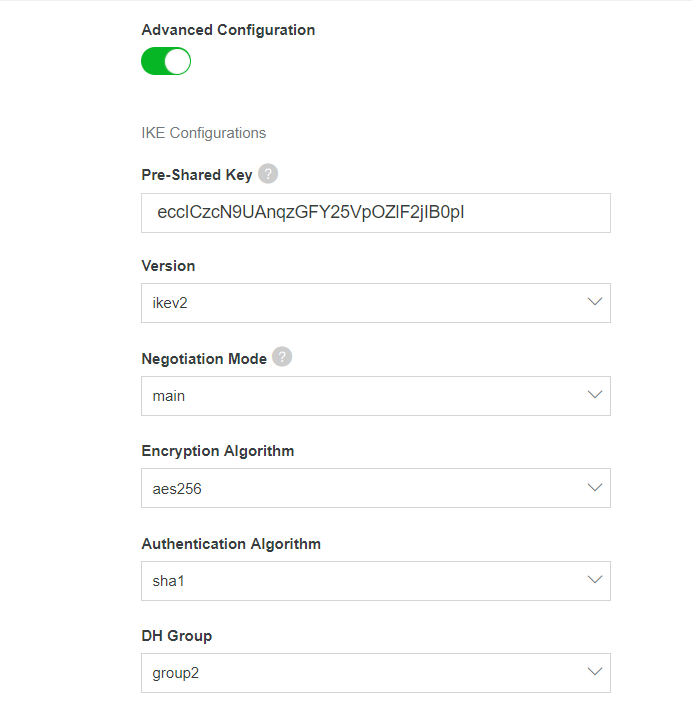 Give your connection a name, select your VPN Gateway, and type in your pre-shared key that you used in Alibaba IKE Configuration. 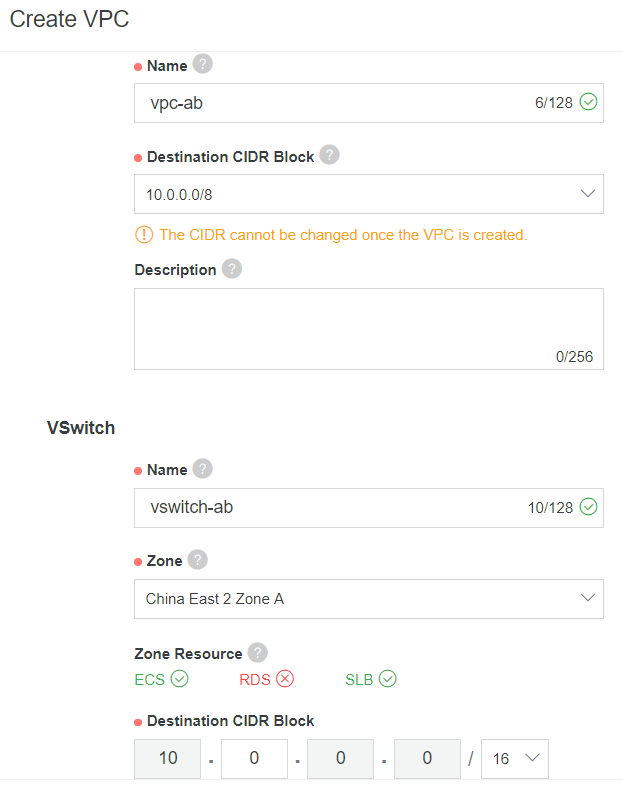 The final step is to add a route entry into your Alibaba VPC Route Table. Within your VPC, edit the route table and add a new entry. 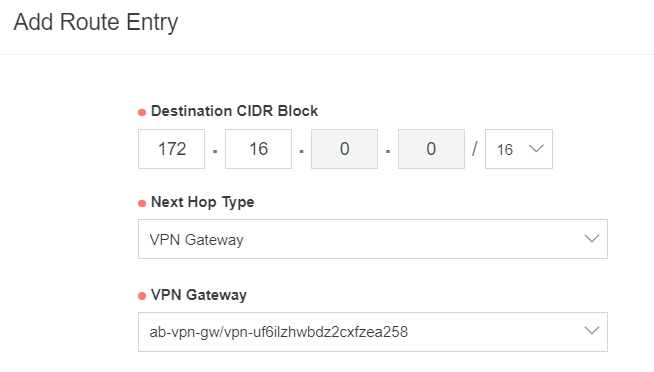 Type in the remote network CIDR block, set the Next Hop Type to VPN Gateway, and select your VPN Gateway. At this point, you have a route-based site-to-site VPN configured between Azure and Alibaba Cloud. I stood up a SQL Server and front-end Sitecore content-delivery node. Then I configured a remote publishing target. Benchmarking from US to China for a remote publish was not favorable due to random timeouts. Looking at the Sitecore publishing service, I deployed an Azure webapp and configured publishing for that route. Publishing was instantly faster and had no timeouts.